Situated in the heart of Leederville, this is a popular cafe. Expect to line up on weekends for breakfast. They have been doing this for a while so they efficiently move people in and out. After only a few minutes wait we were directed to a cramped table, nearly sitting shoulder to shoulder with the table next to us. They certainly fill the place to the brim. The food did not take as long as we expected considering the crowd. The wait for the food was worth it. It is not the usual breakfast menu – take for example one of our choices: charred sweet corn and pecorino cheese croquette, poached eggs, beetroot leaf and beamaise. It tasted as good as it sounds. they do their own special coffee brew, which you can purchase. there is also a sister store in Northbridge. The Oxford Hotel in Leederville is not a bad place for a drink since it has spruced itself up in recent years. We went on a Tuesday night to take advantage of the kid friendly dining. On every Tuesday night they have someone there (Cater 4 Kids) from 5.30pm – 8.30pm at The Brickworks Cafe in the Beer Garden, who can entertain the children while you enjoy your meal. In theory it sounds good, but you will still have to deal with your kids when they bored or need something to eat. As usual you will pay restaurant prices for pub service. The food was not anything special, and especially the famed burnt fig ice cream was very disappointing. As the name implies, the Kitsch bar is a cool and trendy little bar that is hidden away from the main action of Leederville. For those who venture further up Oxford street will be pleased to discover this relaxing gem. Come for a drink of your favourite Asian beer or hawker inspired Thai food. The prices are a little expensive, but you are paying for a great ambience. If you have travelled through Asia, the sights, smells, and tastes will be very familiar. It may be authentic Italian, but certainly not inspiring. The Siena’s of Leederville restaurant has been serving authentic Italian food for a long time in Leederville. It is located on the main strip, and can be very popular, particularly on the specials nights (Mon-Wed) where most pasta dishes and pizza is $12. You are advised to pre-book on these nights. Another great thing about this restaurant is the children’s play area, located inside the restaurant with a big glass window so you can keep a good eye on the kids while you enjoy your meal. It is an institution in Leederville, and it shows. 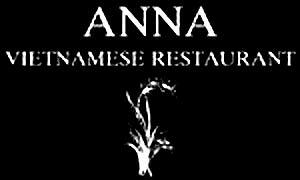 Anna Vietnamese Restaurant is a casual eatery, quite old school but popular with locals. It can get busy at times, and is suitable to bring the kids or come along in a group. The menu is quite long, though contains mostly standard Asian restaurant fare – don’t expect any ‘pho’. There is nothing surprising on the menu, but if you choose wisely or go often enough you will find something satisfying. The restaurant is BYO, with two handy bottle shops in just down the road in Leederville. At a recent visit Clare ordered one of the specials from the board, Cinnamon Chicken, which was chicken on the bone, which we did not expect. It smelt and tasted great though. The serving sizes were good, with three dishes ordered for two adults and one child we had extra took home extra. Overall the food was OK and we may go there again if looking for a cheap night out.